Provide comfort for the family of Usign Gilpin with a meaningful gesture of sympathy. 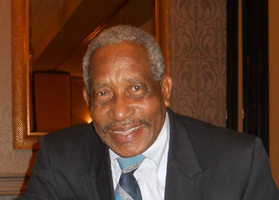 Usign “Herbie” Gilpin, The Beloved Son of Albertha Kerr and Charles Gilpin was born on September 1, 1943. Herbie departed this life surrounded by family on January 29, 2019. He attended Norwich Primary School in Portland Jamaica, West Indies. After completing school, he became a bus and truck driver in Jamaica for many years. He was also registered as a farm worker and was sent to Canada to work in 1976 and Florida in 1979. He then emigrated to the United States in 1982 and completed Tractor Trailer Driving School in 1983 gaining his license to drive Commercial vehicles and be in the Transportation industry. He worked at Sealy Mattress company for many years travelling across the United States and Canada delivering goods to customers. He later worked for Star Market Corp in Belmont. He was married to Pearlita Grossett on July 26, 1980 in the parish of Portland, in Jamaica WI. He was very kind with a willingness to help others. He was strong willed and charismatic as well as the life of party. He was very funny especially when he would recount his adventures in Jamaica (we will leave it at that!). He is survived by his wife, Pearlita, his sons Courtney, Christopher, Lincoln, Wayne, Kevin, and Cyprian, his daughters Sharon, Cran, Joan and Andreen, his stepsons Caron, Devon, and Milton. He is also survived by 30 grandchildren, a host of sisters and brothers, nephews and nieces, great-grandchildren, other relatives and friends. He will be missed by all. To send flowers in memory of Usign Alexander Gilpin, please visit our Heartfelt Sympathies Store. We encourage you to share your most beloved memories of Usign here, so that the family and other loved ones can always see it. You can upload cherished photographs, or share your favorite stories, and can even comment on those shared by others. Provide comfort for the family of Usign Alexander Gilpin by sending flowers. To the family and friends of Usign. Please accept my sincere condolences. Death is never an easy thing to deal with. I have to reflect on Jesus response when he learned that Lazarus his friend had died. At John 11:33,35 We read that Jesus was troubled and that he wept. Jesus has the power to resurrect and he wept over this death. In the very near future Jesus will exercise this same power to resurrect our dear loved ones back to an earthly paradise. John 5:28,29. May you find comfort in the hope of the resurrection. My heartfelt condolences to the Gilpin family and friends. I'm so very sorry for your great loss. It's very difficult to lose a loved one. May you find comfort in your memories. And may you find peace in the promise Jehovah God made that there's going to be a resurrection, which means we have a real hope of being reunited with our loved ones who have passed away - Acts 24:15; John 5:28, 29.